They say that everything happens for a reason and it can’t be different for this happy family who adopted a one-month-old baby. 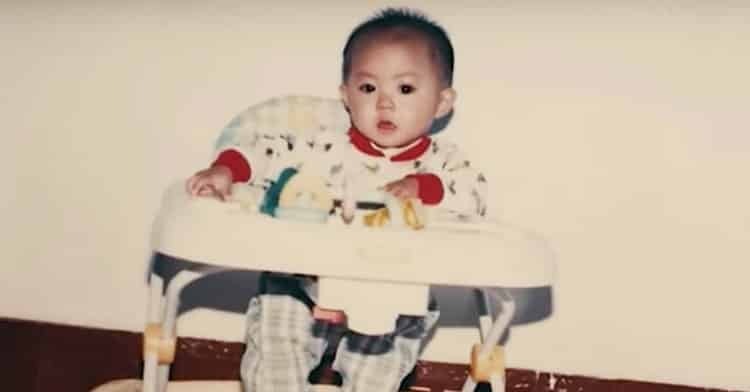 In 2003, they heard of an orphan Chinese baby that was abandoned in a shoebox. Chuck and Kim Walker would soon make a decision that will change their lives forever. 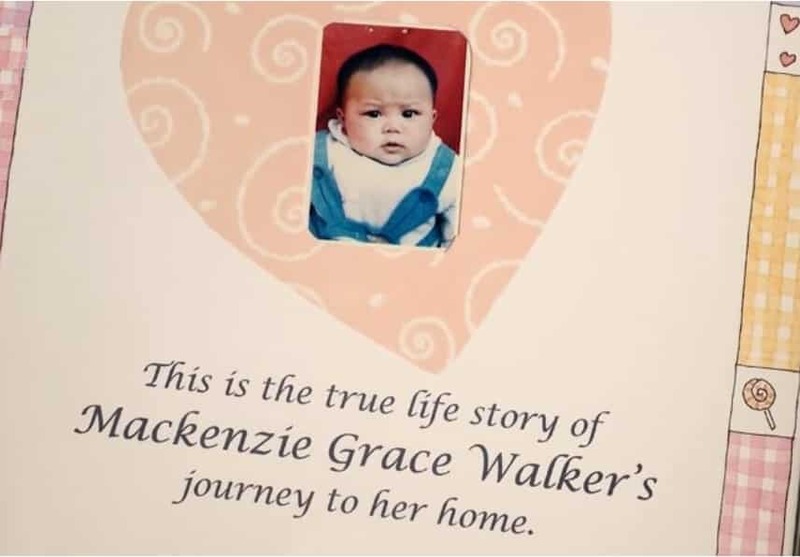 Here is Mackenzie Grace Walker’s story, which left us breathless. Love and kindness forge great people! It all started when the little baby was found in a shoebox, in the Hunan Province of China. How did Chuck and Kim become the baby’s parents and what does the clock have to do with their story? Let’s start with the beginning of the story and you’ll see. The devout Christians have loved each other for more than 30 years. They married in 1982 and two years after that, their family had a new member: their first son, Brad. Kim Walker got pregnant again, but tragedy would soon come. 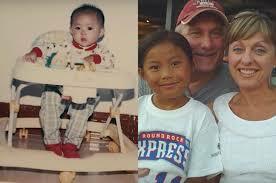 The couple thought of adopting but only had the courage 16 years after, in 2000. They adopted a baby girl, called Caitlyn. Still, it felt like there was something missing. So, this is when they heard about a Chinese baby 8,000 miles away. Her story was soul-crushing! Chuck told CBN in 2015 in an interview that in 2003 they felt like ‘God had a plan for another daughter in our lives’. And God was indeed listening to the Walkers’ wish. Miles away, in Hunan, a baby girl was found in a paper box outside a train station. Was it fate? They saw her picture and fell in love with the baby. So, with other 13 families from America, they went to adopt Chinese baby orphans. In two days, they could return back to their home in Texas with their new baby girl: Kenzy. The couple fell in love with their new daughter and it seemed that it was fate who brought them together. And this is where the story gets even more interesting! The adoptive mother said that whenever her daughter heard the clock chime ‘she walked up to it and looked at it and mimicked the sound – exactly on pitch’. Not only little Kenzie got a new home, but she also discovered her talent! The noises she made as a baby would soon make her famous. You won’t believe what happened next, that changed their lives forever! The Walkers knew that their little daughter was naturally gifted and seeing her grow up and constantly singing, made them proud. Kim said that singing was a part of what Kenzie was, so they took her to music classes. You won’t believe what happened next! Whenever her friends came to her house, Kenzie would make them sit and listen to her singing. Soon, she would have a huge audience, see it for yourself at #7. Her talent was then discovered by a Grammy-nominated producer, Mark Carman, who offered little Kenzie a recording contract. She had her debut album ‘Simple Gifts’ recorded in Nashville. Kenzie remembers when she was five years old and told her mother she wanted to be a famous singer. Kenzie can’t believe she is famous and she said that ‘I’m actually here. I’m not in a dream. This is for real.’ Her parents are also amazed and proud of their girl. Chuck admitted that everything is a bit overwhelming, as they are a normal family. ‘I need to help them because God helped me, and through God, I can help them.’ An act of kindness can travel very far, as we have all seen with the Walker family and it’s so heart-warming when you see it spreads everywhere. Things indeed happen for a reason. The shoebox, the stranger who found her, a kind family and the grandfather clock, mixed with tons of love and kindness have created this beautiful young girl that wants to give back what she has so far received. Thank you, Kenzie, for teaching the world that anything is possible if you try!